Eye-opening and very useful post! Thank you. Great definitions! I think my first novel belongs in the “horror” category, but there’s no overt gore- it’s more psychological. 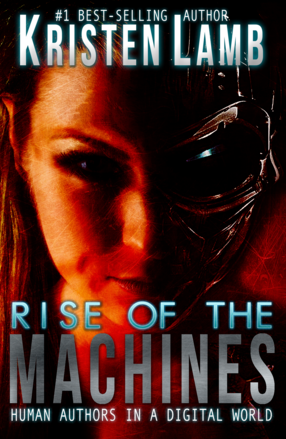 My second novel- perhaps “probable futuristic / satire.” I guess genre divisions confuse me. Must I choose between these 2 genres for future novels? Thanks. Really just one genre will be your core and then feel free to flavor it with other elements. Picking a genre is just a good foundation for your story and helps you stay focused. A lot of writers will ask, “Well how long does a book need to be?” Genre often will answer that question. So, YA or MG is not a genre? We must pick a basic and then write for the readers? YA and MG would be considered audience, and not a genre? I had to limit the genres so that this blog wasn’t horribly long. Yes, YA is a genre, but so is Children’s and Westerns and Mainstream…. That was why I started with the caveat that I could only address the main components of the market. I didn’t want the blog to get any longer than it already was. If you guys have questions about a genre I didn’t mention, please feel free to ask in the comments :D.
Your examples are excellent. I love how you teach using an example of a specific book or movie for each point which makes it so much easier to understand…and your sense of humor makes it all the more entertaining. Thanks for taking the time. I really enjoy your blog posts. Thanks for the post. Other writers from my group have asked me what genre I am writing in. Initially I had a hard time pinning it down. But, I guess I am writing a literary book with elements of mystery and horror. I didn’t set out to combine the genres in this way. I just set out to tell the story that I imagined. That’s just how it breaks down within these categories. Your definition of literary works is interesting to me, since, after studying Randy Ingermason’s Snowflake Method, I’ve start writing very character driven plots with plenty of choice involved. But I also write Fantasy or Science Fiction more than anything. Even more most mundane ‘worlds’ have some element of the fantastic to them. So I guess you could say I’m a ‘born Genre author’ except I occasionally write in other genres for practice, which really does help in the long run. What craft books are you reading? Your blog is a literary masterpiece! Thanks for the illuminating insight! A couple of years ago someone asked me what MY genre was, and I didn’t even know what A genre was. There were just books I liked, books I didn’t like, and the book I wrote. I wasn’t defined by a genre so why should my book be? Ha. Haha. Hahahahahahahahahaha. As always, you’re giving great advice here. Thanks so much for your post. I’m thinking literary fiction… what do you think? I’m the born fantasy writer. This post has made me realise that there are downsides to being so closed in my reading material. I’m definitely going to be reading into other genres. You are welcome and fortunate to know what you want to write. That has really been the only weakness i have seen in a “Born Genre Writer.” They start sounding like everyone e;lse because they lack outside material to freshen up the text ;). I recently began to reach out to other genres myself, I am the the born fantasy writer. I learned in my class, with Jennifer Holbrook-Talty, the importance of learning from other novels and writers concerning point of view alone. Since then, I have picked up novels I never would have even glanced at twice before and it has really impacted my writing. In fact, I just picked up another novel today at work. (they have a book shelf there for you to leave or take books from) It covers alternative religious history, an undertone/overtone in my novels. So, outside genres can be a huge help. As for the above post, Kristen, the link concerning the Fantasy Writers of America wasn’t exactly what I expected it to be, and the site can use ten face lifts and a tummy tuck, but it does have some helpful information. Thanks. Great blog as usual. I just feel the need to point out one little thing ref Romance. There are really on two stead fast rules with Romance. 1) The main plot is centered around falling in love and the struggles involved to make the relationships work and 2) it must have a satisfying and optimistic ending. I got these from RWA. There are a lot of other so called other rules depending on whether you are writing single-title or category. And in those categories are rules that go with each line. However, there is no rule in romance that the hero or heroine can’t be the antagonist. There are many romances where this is the case. A movie that did this was You’ve Got Mail. I love to hate it. Personally, I don’t like it when the hero or heroine is the Antag, but in romance, it happens from time to time. I am a born YA Author. I love YA because it normally is a coming of age story, but can be horror, suspense, romance, etc. Therefore, most YA is slightly literary. BBTs are usually someone that a teenager would consider a villain in real life: an abusive parent, a cruel teacher, a mean boss, or the ever popular bully. They usually run at 80,000 words, but as this genre is becoming more mainstream, more are being printed around 100,000 words. I love YA. I have no genere anymore. It use to be romance but went into literary and got stuck in between cuae I lost the keys to my new home. XD I indroduced my friend to you. She loves your advice. See you next week. As a beginner … thank you! I’m slowly making my way … I hope. Maybe I missed something … what is YA? YA ia Young Adult. Young adult usually will follow the rules of the adult version of the genre, but language, length and word count will be modified to target a younger reading audience. I understand you’re writing from a standpoint of marketability, but what if the books I really enjoy are the kinds of works that don’t fit in the mainstream genre brackets. For instance, House of Leaves affected me deeply and profoundly, much more than any mainstream novel I’ve ever read, but I know that in spite of a fairly strong cult following it’s not much of a mainstream seller. Another book I read and loved this year was The Beasts of New York, a book that was released for free online at first, because the author couldn’t get an agent to pick up a book for adults that was framed as a book for children. I guess the core of my question is, how can I write marketable books, if I don’t much enjoy reading marketable books? That’s a good question. Marketable just means that there is a frame of reference. For instance, you open a restaurant, what is the type of cuisine? If you can’t quantify that, you are going to already have a bugger of a time marketing. Just because you pick a genre doesn’t mean that you have to write stale, formulaic writing, but it will give you guideposts for that genre. If you write 150,000 word YA, that is a tough sell. Agents know teens already have a short attention span, so they know 150,000 word book would be a bad investment. A lot goes back to why are you writing? If you want a career as a best-selling author? You generally need to write genre books. Like if I want to make a zillion dollars owning a restaurant, it is a good idea to open a pizza parlor. Why? Appeals to the most people. But, if you are writing to be considered literature or win the Pulitzer, then not as important to write genre stories. Genre books sell more simply because they have existing followings/fans. An incredible post, as always, Kristen. I look forward to each one knowing I’m going to learn a lot. 🙂 I think my #1 problem right now is figuring out what my genre is! I wouldn’t call myself a “dabbler” per se since, when I write a book, the book itself sticks to a particular genre. I can’t seem to stay within a genre from book to book. I’m trying to decide if that’s a good or bad thing. For example, book 1 is suspense/psychological. Well, after the rewrite it will be anyway. It sort of flopped around like a dead fish at first. The second is literary fiction, and the third is Christian fantasy. See what I mean? I’m not sure if going all over the place like that is normal or if I’m in a weird, and painfully long, hunt for my niche. Keep the posts coming! I look forward to each one. LOL…glad you enjoyed. I share my pain so others might learn :D.
Wow Kristen! Such a thorough post! I’m STILL catching up on many of your older posts because they’re excellent. I mean it when I say your blog has for sure been one of my favorite finds of 2010. Anyway, I’m a born YA writer… I read it, I write it and love it. I don’t feel boxed into this genre becuase YA can have any variety of secondary genres in there. Is there a YA guild or something out there? I’m new to the field. Inspired Links – April 20, 2011 | "Inspired by Real Life"